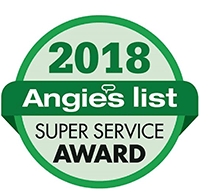 Our trained Comfort Specialists ™ are here to help you achieve home comfort with heating services — from superior equipment, design, installation, maintenance and service. Whether your home is heated by a furnace or boiler system, Central Heating and Air Conditioning Co. will improve your home's efficiency while providing prompt and precise service. Central's furnace technicians can service all brands, but specialize in Trane furnace installations. 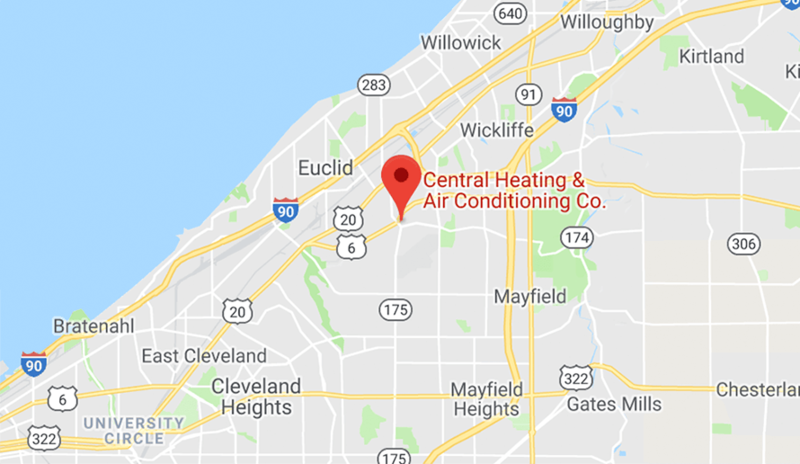 Making us one of the most trusted furnace repair companies in Cleveland, Ohio. Our staff's expertise and commitment to customers sets us apart in our field and in the Cleveland area. One of the most common heating systems, a furnace heats and distributes air throughout the home, relying on supply ducts to transport this conditioned air. When the furnace is operating, the same fan that distributes heated air is also pulling cooler air back to the furnace (to be reheated) through a system of return ducts. A furnace can burn fuel oil, natural gas, propane, wood or pellet fuel, although these last two options are far less common. Today's natural gas furnaces use electronic ignitions. An electronic ignition makes furnaces more efficient. It turns on only when your furnace begins a heating cycle. Nothing makes you pay more attention to your furnace than the change of seasons. It's usually then, we find out that our furnace isn't working properly. Keep in mind that just because your furnace turns on the first time for the winter, doesn't mean that it is running properly. Frequently this is because the unit had been sitting all summer. When it comes to furnace repairs, you should always hire a professional to take care of the problem so that a small issue does not escalate and a create major expense for you. Normal Wear and Tear: Having your system inspected periodically, and at least as often as the manufacturer recommends, can prevent a minor repair from becoming a major endeavor. Simple things like replacing a blower belt can prevent the blower motor from burning out, and it saves you the aggravation of breakdown. Having a furnace repairman come in and inspect the furnace can help to find and solve small problems. This in turn can prevent you from receiving high bills for furnace repairs. Rapid Cycling Problems: In the case of a furnace turning on and off again too quickly, many causes exist. As always, the first may be a dirty or worn-out air filter. What Does HVAC "Efficiency Rating" Mean? It's important to understand how this number affects the cost of your furnace and its ongoing energy use. When comparing energy sources for home heating, the scientific unit of measurement is the annual fuel use efficiency rating. A furnace's AFUE rating, as it's commonly called, refers to the ratio of how much heat output a furnace system will produce compared to the amount of energy it consumes. For example, if a furnace is rated at 85 percent AFUE, 15 percent of the energy used is lost, and 85 percent actually becomes heat. Federal regulations now require manufacturers to include this efficiency indicator with every new furnace sold to help consumers compare energy efficiency. Older systems may not have a rating, or it may have been removed. However, you can often identify low-efficiency furnaces by the use of a continuous pilot light. A furnace that has a continuous pilot light will require you to relight the pilot if it goes out. The type of furnace in your home depends on the type of fuel that is readily available in your area. It is possible to install a new furnace with a different source of fuel if you want. You could easily replace an oil furnace with a propane or natural gas furnace, if you can find these fuels in your area. Gas furnaces typically cost more than oil furnaces, but have higher efficiency ratings. Alternatively, you may want to look into an electric furnace. 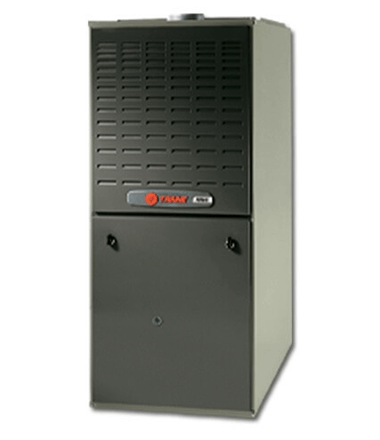 No matter what your furnace preference is, we can provide you with the furnace you need and supply you with our expert advise.